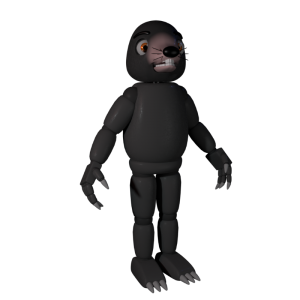 Morse the Mole was a cut character from the 2015 iteration of Popgoes 1. Morse’s role was essentially the same as Blake. He was to go to the server room to shut down the phone’s wifi. 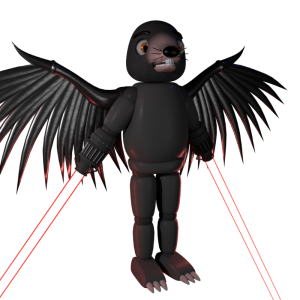 The only way to stop him would be to look at him fairly often, like Foxy in Five Nights at Freddy’s 1. it is also stated that he would bury into the floor to “rip up wires, or something”. Morse was removed due to conflicts with the lore. He was replaced by both Blake and Stone. Blake’s influence is clearly seen. Blake and Morse would both enter the server room to shut down the player’s phone. Stone’s influence seems more hidden. It is possibly that simply observing Morse could have caused your panic to go up for some reason. This influence has never been properly elaborated. Interestingly, Morse’s eye colour is Orange, which is the colour made if you mixed both Blake and Stone’s eye colours together. The creator of the game, Popgoes, seems to dislike Morse. 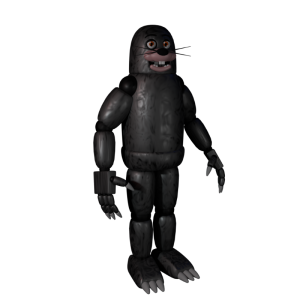 It is a running joke within the Popgoes team that Popgoes hates Morse. 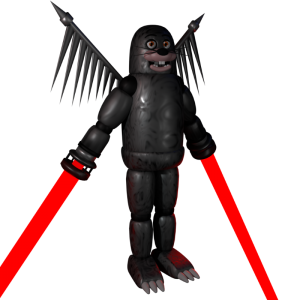 Morse was never actually modelled, and the render seen in-game was a fanmade model of Morse. 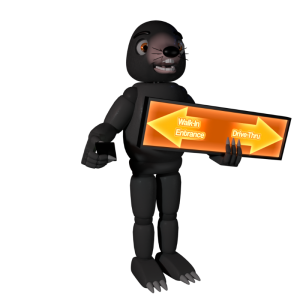 An updated version of Morse was made by Morse’s model creator after Popgoes’ release, which has been included in the character switcher.